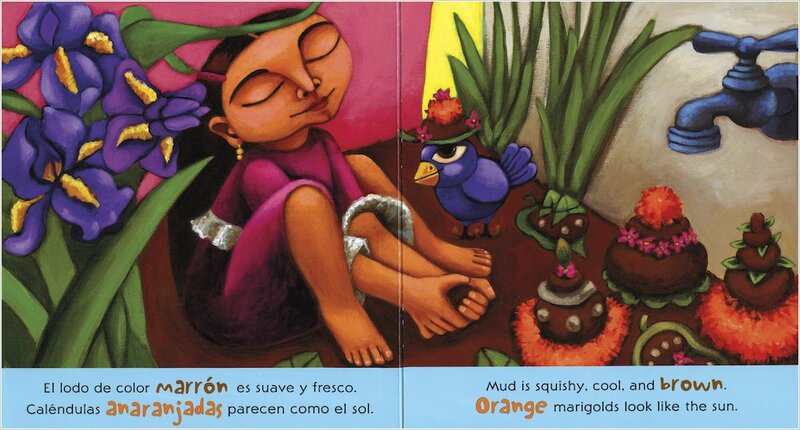 Sunshine in book form. 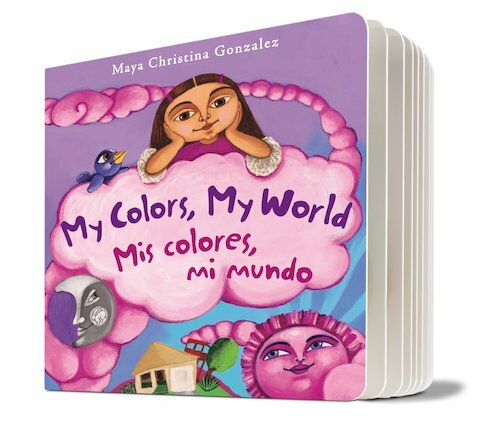 A glorious look at the colours of little Maya’s desert home, told in English and Spanish. Truly lovely. What are the colours of nature? 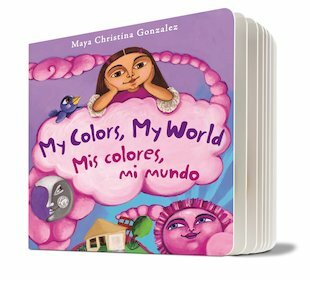 Maya can spot a rainbow of them in the beautiful hues of her backyard. She finds purple and yellow in the garden flowers, red in her swing, and black in her Papa’s shiny hair. Cacti are green. Mud is cool and brown. Orange marigolds glow like the sun. Look around you. What colours are in your world, and where do you find them?